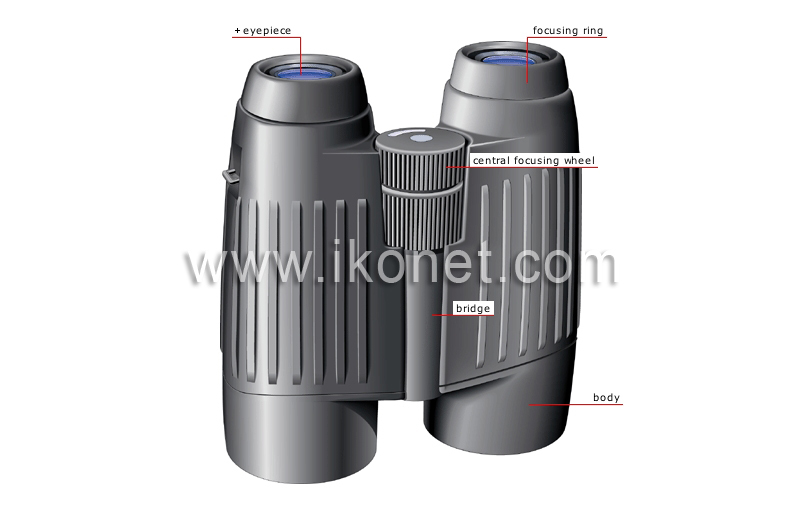 Cylindrical body of the binoculars that houses the optical system and through which the light rays pass. Ring on each eyepiece for manually correcting for the difference between the user’s eyes. Focusing ring for both the objective lenses; it is used to manually adjust the sharpness of the image. Part of the frame joining the two telescopes.